This Set Includes: Hair Extension Shine Spray(125ml), Hair Extension Care Shampoo(250ml), Hair Extension Care Conditioner(250ml) and Hair Extension Leave-In Treatment(250ml). X-10 Hair Extension Shampoo: is a deep cleansing shampoo that will repair the natural gloos and health of your hair. X-10 Hair Extension Conditioner: is a rich creamy conditioner to detangle your hair and leave it silky, smooth and manageable. 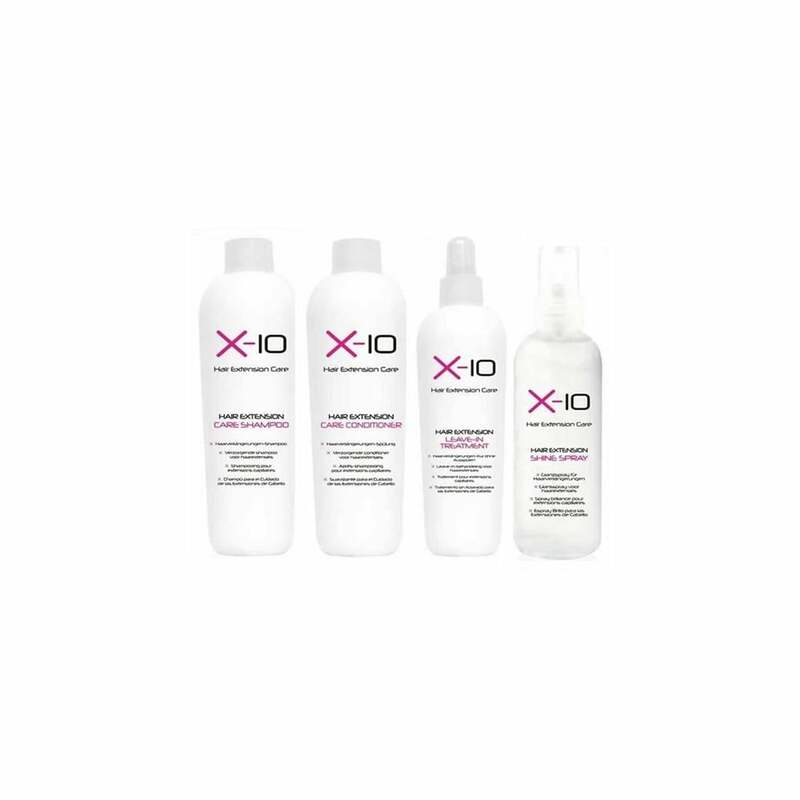 X-10 Hair Extension Leave In Treatment: is a leave in conditioner to be used once a fornight that will replenish and restores the hairs health, leaving it soft with a radiant shine. X-10 Hair Extension Shine Spray is a light weight ,non greasy formula to enhance the condition and strength of your hair, giving it luxuriously gloss finish. Once hair is styled, spray an even mist of shine spray all over your hair and gently commb through with a wide tooth comb.